It’s a Wednesday for Saint Maria Faustina KoWalska (why else,) with a brief reflection on the Divine Mercy of God. God is so patient with me. And because of His generosity with patiently waiting for me; to learn, to finish, to do, to speak, to act, to be still or silent, and on & on & on…I find courage to ask others for the same. It was not always an easy thing for me to ask others for this same patience I asked for from God. Why? 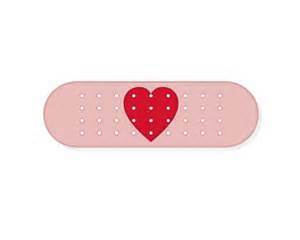 Because I thought God was the only one with the Band-Aids! But then I discovered God isn’t the only one with the Band-Aids!! Yes, He is the Source & Supply; however, He actually passed out plenty to others! Although, there are those days where I’ve asked for one from someone in short supply! Because God is inside each one of us He has prepared us all with the same love, compassion, tenderness, goodness, praise, care, concern, understanding, and on & on & on… God sends us the people in our lives that we need when we need them. And like every great Healer, He sends them well prepared! We need only be brave enough to ask for care. The Saints knew this and prayed for this ability to assist others in their time of need! St. Maria Faustina prayed constantly for the grace to assist others in their woundedness, their brokenness, their need. Her heart ached for this and desired to bring as many souls as possible to God. She offered such great patience to those who needed it; all in an effort to draw them closer to God and His unfathomable Mercy. This was a woman who wasn’t afraid to ask God to restock her supply! And He always did! 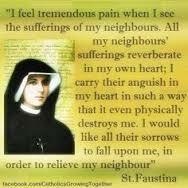 It was reading St. Faustina’s Diary, Divine Mercy in My Soul, which brought to life for me (by her example,) that God enlisted others to assist Him with applying the band-aids! AND that we all have that same opportunity to show others HIM, through the actions of every band-aid WE hand out! We would all be Saints if we did! Most times when a Saint is depicted a symbol pertaining to their personal story and how they have led others to Christ is incorporated into that image. 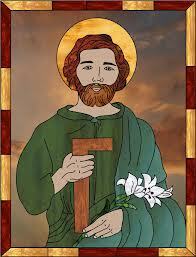 St. Joseph is often seen with a wood-working tool in his hand, as he is the Patron Saint of Carpenters and fathers. St. Patrick, Patron Saint of Ireland, is almost always in green and often is holding a clover leaf to represent the Trinity. St. Faustina is fondly depicted with the Divine Mercy Image of Jesus. Our pastor, Fr. Larry Richards, often reminds us that we should ALL live out our lives with the hope of becoming Saints! He light-heartedly instructs that each of us should strive to have a statue in our parish depicting the good works we did for others, in the name of Our Lord, during our time here on earth. Our desire to achieve this should not be out of ego but out of a desire to witness to others what it can LOOK LIKE to live out a life as the hands, feet, and heart of Jesus as the gospels instruct us to do! and on & on & on…. 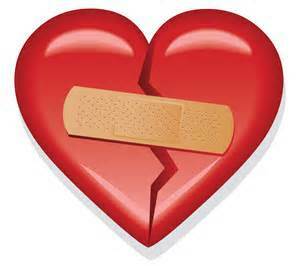 holding on to a band-aid…. hugs n’ blessings for whatever YOU will have been given to hold! Next Rolling Along a happy birthday where’er we go!